DateTime and Time columns are here! We decided to extend the Beta testing period for the version 1.7, which was announced earlier, but for a good reason! 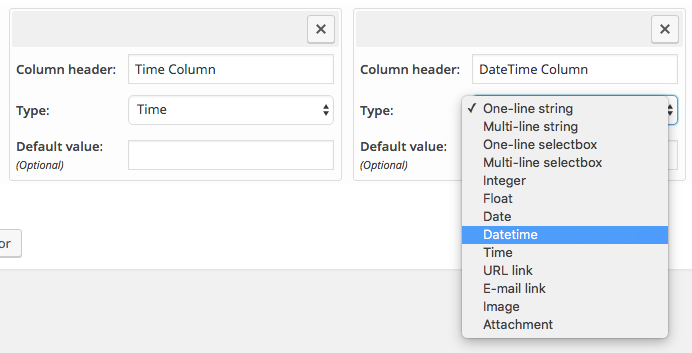 As it was probably the most anticipated feature since early days of the plugin, we decided to push it thing to the version 1.7: DateTime and Time column types.